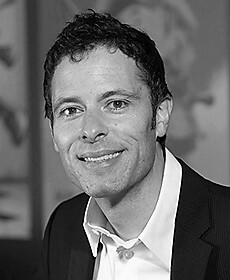 Matthew Luhn, Original Story Creator at Pixar. Business and Innovation Speaker. Alongside his story work in Hollywood, Matthew also trains CEOs, marketing teams, directors and other professionals how to craft and tell stories for Fortune 500 companies, Academy Award winning movies and corporate brands. Matthew’s “Story Seminars” and “Story for Business Workshops” run in New York City, Los Angeles, London, and other major cities worldwide. His “Story for Business Workshops” and keynotes train business leaders and entrepreneurs how to use storytelling to bridge the gap between heart and business to build better brands and business communication, while his “Story Seminars” train attendees how to develop stories and write dialogue to create compelling stories and screenplays. His clients include Target, Procter and Gamble, Adidas, BMW, Sony, Mattel, Facebook, Charles Schwab, Microsoft, Warner Brothers, Google, Salesforce, and many more. Matthew’s story credits include Toy Story (1995), Toy Story 2 (1999), Monsters Inc. (2001), Finding Nemo (2003), Cars (2006), Ratatouille (2007), UP (2009), Toy Story 3 (2010), Monsters University (2013), Toy Story of Terror (2013), Toy Story That Time Forgot (2014), and other films and TV shows currently in development. Matthew’s career began at 19 years old, as the youngest animator to work on The Simpson TV series. His TV credits on the The Simpsons include Kamp Krusty (1992), Lisa’s Pony (1992), Homer Alone (1992), Colonel Homer (1992), Homer Defined (1992), and Burns Verkaufen der Kraftwerk (1992). Along with his seminars and consulting work, Matthew has a sustained interest in teaching and empowering children around the world how to draw, write, and make films. Collaborating with The General Pencil Company, the first pencil factory in the USA, Luhn has created a series of “how to draw” books and art programs for kids of all ages.